I’d like to congratulate Cora for her successful defense of her thesis! 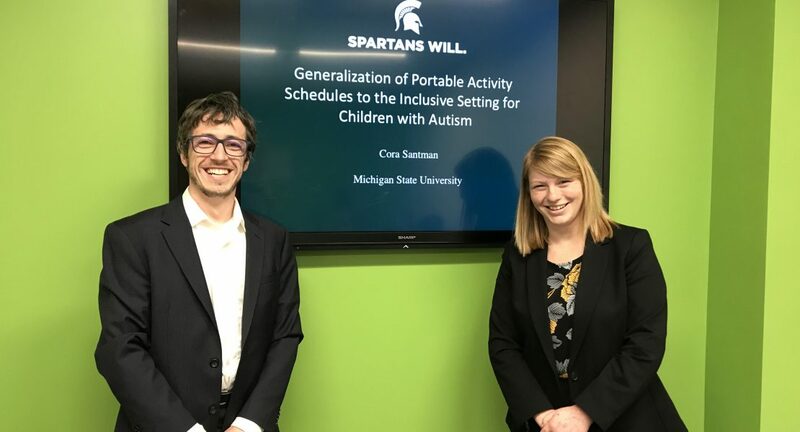 Cora taught children with autism to use an activity schedule in an intensive behavioral intervention classroom, and evaluated generalization of activity schedule following in an inclusive classroom. Cora’s thesis was very well done, and it raised many interesting questions for us to ask in the future. 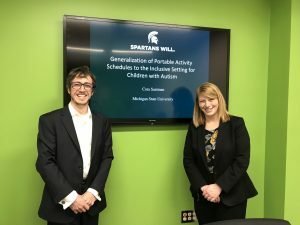 The implications are especially important as we look to find ways to integrate children with autism with their typically developing peers. Congratulations, Cora! We are all so very proud of you!